After yesterday’s thriller against the West Indies, the big question is that what on earth would it take for the Australian side to win this particular ICC trophy? which essentially is the only ICC trophy that they haven’t been able to lay hands upon. Last night’s loss to the Windies means it is going to be very unlikely for them to turn the odds even time around. Now let me put things into perspective and take a step or two back to reflect upon their overall preparation for this particular edition. Ask anyone, and i feel the same, that when the tournament started, they looked one of the strongest sides on paper, probably alongside India and Sri Lanka. They looked like winning it or at least advancing to the knock out stages of the tournament. They were coming from a mix of good well fought and comprehensive wins, some of their players were in tremendous form, they still are, and the ability of their strikers looked unmatched. I mean how good is this for your top 5: Warner, Watson, Finch, Maxwell and Bailey, and then Faulkner, Haddin in the lower middle order. Crazy isn’t it. Seems they’ll just murder any opposition. And not that they haven’t. In both their games till now, they have batted well with some folks doing extraordinarily well. What would you call Maxwell’s innings against Pakistan? I call it carnage. But you can choose your synonyms. However, somehow they haven’t been able to cross the line on both the occasions. Against Pakistan, they’d hit Umar Akmal playing best innings of his life, and later Pakistan holding their nerve after the Maxwell onslaught, with Umar Gul also getting into some sort of rhythm. And against the West Indies, the free flowing Gayle upfront and in the death overs the typical West Indian muscle power of Bravo and the skipper Darren Sammy. Ah! When a batsman is in that kind of mood, you can just sit back and admire. Cant do much about it Aussies! Although mathematical combinations and all those net run rate sciences still tells you that they still aren’t completely out of it, but it’s very less likely that all that maths and science would work in their favour the way they’d like. Let’s wait n watch. Because otherwise, well, better luck next time! Pakistan batsmen for a while now are living with some fear which is so deep rooted in their hearts and minds that it would take a huge psychological counseling effort from someone for this fear to be conquered. Nobody really knows what is this fear of theirs and thus we are calling it the fear of ‘unknown’. This fear has been haunting them for a good no. of years now. It roughly started around the time when Inzamam-ul-Haq retired from International cricket and since then has gone on to scare almost all the Pakistan batsmen of the current generation. And in the past few years it has become hugely grave. More that anything else, what this fear has done is that it is killing their bowlers. Pakistan bowlers try their level best each time they take field, they are hard to face, they get good sides out for modest totals and they are a highly respected attack. But invariably Pakistan’s batsmen have failed theirs bowlers and if this continues any longer it shouldn’t be surprising if we see these bowlers burn out and not perform as well. The reality is, there is only as much one can do to keep the morale going and for Pakistan bowlers its been a little too much. Pakistan side is loved by their fans around the world for their signature attitude. An attitude which is about natural raw talent expressing itself and that is the very reason that all these batting mishaps are so much more disheartening. Pakistan batsmen aren’t expressing themselves. There is a mental block, there is fear of failure and there is a burden of not looking casual while batting. If Pakistan has to do well, all that has to go away. There has to be an expression of that famous attitude and there has to be an acknowledgment that bowlers cannot do it all. 235 is all they were chasing against the South Africans last night and with all the caution in the world, they could only accumulate 167. There was no reason for the way they approached this modest South African target but its not the first time they took this approach, they have done it in the past as well. Without Steyn and Morkel, the South African attack was not as sharp, but right from the word go Pakistan batsmen went into their shell and were overly defensive. There was no intent to keep the score ticking over and thus a lot was left to be done towards the end. Misbah cannot do it all, always. The Pakistan batsmen must learn that it is time they change the way they approach batting. They must let go this fear, whatever it is. Pakistan cricket otherwise, isn’t heading anywhere. It was supposed to be a ‘Super Saturday‘, but didn’t turn out one. England and Australia were playing their first Group A round-robin league match against each other and given their rivalry (Ashes and otherwise) it promised to be one cracker of a game. But for some reason, the Aussie side that turned up for this clash was far from what we are accustomed to see for last so many years. They simply lacked fire. England sporting their new red jerseys, looking fresh in new colors batted first and posted 269/6 with Ian Bell playing a superb innings of 91. This was a decent score on that track but nothing of the size that can seemingly intimidate the Australians. But it did. When the Aussies came out to chase, there was no intent to go about it. Batting included, during the whole match, one just didn’t find the glimpse of aggression that is so native to Australian. They went about their business in a manner that is so unlike them. The zeal, the hunger to win was somewhat missing. Yes, the Haydens, the Gilchrists, the McGrawths and the Warnes don’t play the game anymore but the Australian body language has to have successors who can keep the attitude of these champion cricketers alive. More than the loss, it was disappointing to see the manner in which they lost. They sure can fight better than this. 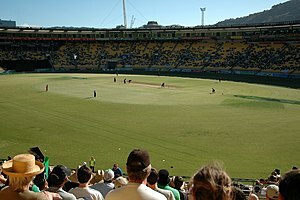 Australia play New Zealand next in Edgbaston on Wednesday and this is a good opportunity for them to come in their own. More so because these are two sides who have always been fighting it out against each other and thus aggression naturally makes its way into the contest. This may well be the catalyst that Australia need to get going. They are a strong side, with multiple match winners. It’s only the famous Aussie attitude that they need to rediscover and there on they’ll be a side to watch out for. Two highly unpredictable sides clashed in a low scoring but high intensity Group B thriller last night at Oval, London, the first of their matches in the round-robin league. The West Indies got over the line with two wickets in the bag but not before Pakistan’s pace and spin combination made them experience a good 40 overs of restlessness. On a wicket that offered some assistance to the quicks early on, Pakistan were sent into bat by the new West Indian ODI captain Dwayne Bravo. On the West Indies playing XI, there was no Darren Sammy and that meant only Gangnam style was on offer and so London was going to miss the baby dance. Pakistan went in with four specialist bowlers and Hafeez the all rounder filled in for the fifth bowler, which meant that the idea was to strengthen their batting with an additional batsmen which they know is probably their weakest link for some years now. But the extra batsman strategy didn’t work and Pakistan’s batting failed yet again. They couldn’t bat the complete quota of 50 overs and despite Misbah’s fighting 96*, they were bowled out for mere 170 in 48 overs. Kemar Roach ran through the top order and Sunil Naraine did the rest. Pakistan’s bowlers were superb once again with Mohd. Irfan, Junaid Khan and Wahab Riaz bowling fast and in the right areas, getting a good bounce and carry from the Oval pitch. Saeed Ajmal bowled beautifully as always and West Indians had a hard time reading his doosra. At one stage West Indies were reduced to less than a 100 for the loss of 5 wickets but Pakistan’s attempt of going for the kill wasn’t strong enough and they probably had a weapon less. Somewhere they missed that fifth specialist bowler and one would agree that to an extent Afridi absence was felt. The Pakistan selectors have missed a trick by not including Shahid Afridi in the squad. 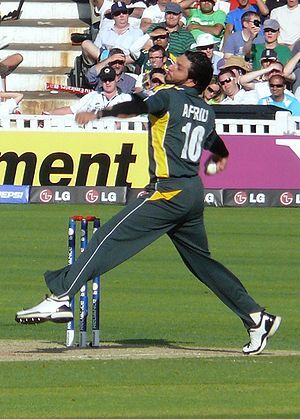 And the reason we think that’s the case is because however bad Afridi performs with the bat, he still is a top class leg-spinner and there aren’t many spinners in the world who can match him for his deceptive variations. Over the last few years or so, Afridi has been more of a bowler who can bat and not really a batting all-rounder and thus the expectations from him should be set per se. The team, the selectors and his fans at large should do a reality check and understand that now he is someone who is more likely to win Pakistan matches with the ball and not with the bat. Yes, on his day, if he comes off with the bat that’s a huge bonus but overall that shouldn’t be the expectation upfront. Pakistan missed him last night as a bowler and also for the attitude that he brings with him which is very capable of lifting the whole side. And he may be missed all tournament. Afridi is a match-winner and there isn’t any doubt about that. How Pakistan plans to leverage him in this later part of his career is a question that they need to find an answer for. He still has some cricket left in him, and you never know what he may win Pakistan before he bids adieu! It’s 3 more days to go before the ICC Champions Trophy 2013 commences in England & Wales and the stage looks set just right for a super exciting tournament. The warm-up games plus the ongoing NatWest Series between England and New Zealand are those little teasers that make one sigh and think – ah! what an atmosphere for good three weeks of ODI cricket. It suddenly brings back memories of those nail biting finishes that we all have witnessed sometime, from the greatest matches played on the world stage. Yes, now we have all these fast paced T20 games, both domestic and international, that bring so much in terms of thrill, but we all know how beautiful is a nicely poised, well fought 50 over game. Such delight! TV networks are also doing a great job reviving ODI cricket and are pre-selling the tournament splendidly. In case you have seen the new ‘Champions Trophy on HD’ promo on ESPN-Star, you know what I mean. Take a bow creative team for this promo, and particularly for that last shot which shows the cricket ball with dust particles around it…in HD. You guys have taken the visual experience of sports telecast on television to an entirely new level and I must tell you, its just great for the game. And if this gets you thinking that all the cricket lovers are glued to their television sets and stadiums aren’t attracting as many spectators. Well, think again. Its crazy out there and tickets for ICC Champions Trophy 2013 are selling like hot cakes. Champions Trophy is being played in England for the second time, and the interest it is drawing is more than ever. The Oval, Edgbaston and The Cardiff Wales Stadium, three venues for this tournament are expecting full-house for most of the matches. For records, as it would happen anywhere in the world, the June 15 India vs. Pakistan encounter at Edgbaston is already ‘SOLD OUT’. Multiple vendors and various ticketing partners like TicketMaster, LiveNation Entertainment and others are offering tickets both online and over the counter. Ticket prices are ranging from £20 for group games (family stand) to £60 (Gold) for the big final at Edgbaston. Whatever row, whichever stand you get, go grab your tickets and don’t miss out upon a chance to cheer your favorite team right from the buzzing stadium. Some tournaments are special, and being the last Champions trophy edition this one is special for sure. I have my ticket for the finals. And if you happen to get yours, then see you in Edgbaston. I’ll be there with my face painted in my team’s color, dancing and jumping in hope that some cameraman notices me and I show up on the big screen 🙂 ! ‘Champions Trophy 2013’ aka ‘ICC Knock-Out’ aka ‘Mini World Cup’ – Last but not the least! IPL jerseys have gone for laundry service and it’s time for the players to put on their nation’s colour. 6th of June is when the ICC Champions Trophy 2013 commences in immensely cold conditions of England and Wales which is going to be in stark contrast to hot and humid Indian weather that some of the players witnessed during the IPL 6. Champions Trophy the name that this tournament got in 2002, is probably the most popular and reputed ODI tournament in the world, only next to the ICC World Cup. It started as ICC Knock-Out Tournament in 1998 and had always drawn huge interest and audience. This time around, because of the fact that it’s going to be last edition of the tournament there is huge excitement around it and the teams are absolutely keen to do well and end on a high. This 2013 edition has Australia, England, Sri Lanka and New Zealand placed in Group A, while in Group B, India, Pakistan, South Africa and West Indies would fight it out against each other during the round-robin stage. Every one of these teams is capable of winning the title, but given the conditions, teams which have bowlers who can bowl fast and swing it, and have batsmen who can counter swing are more likely to make an impact. Due to home advantage, England are slight favorites but we just cannot rule out anyone. India has a super strong batting order as always, Australians are ready with their game plan and strategies all the time, West Indies have some big match winners and Pakistan are unpredictable as ever. And so, the thrilling contests are guaranteed. 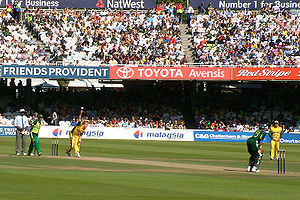 All the matches of the ICC Champions Trophy 2013 will be played at three venues – Sophia Gardens (Cardiff), Edgbaston (Birmingham) and Kennington Oval (London), with the final to take place in Edgbaston on the June 23rd. We at Cricket Exclusive will keep sharing all the updates relating to results, standings and match analysis, all through this three-week tournament. So stay tuned and enjoy! So Mumbai Indians it is, the “IPL 2013 Champions”. In front of a capacity crowd at Eden gardens they played with great zeal to win and were probably against a very indifferent Chennai Super Kings (CSK) side. One would wonder if the CSK which turned up for this big final wasn’t really the celebrated familiar one. In fact, this one arguably stands out as the most ordinary of their performances this season. That said, credit definitely goes to the Mumbai Indian boys for bringing out their A-game and holding the nerves better. They looked far more settled overall and ensured that CSK never got going. A run chase that deserved far more intensity didn’t see much of it for a large part of 20 overs, and Dhoni perhaps left it for too late even for his standards and reputation of hitting the long ball. The tournament began with some thrilling games but one would agree that the final promised more than it delivered. Largely this IPL (just like its previous editions), was a great exhibition of power-hitting, superb acrobatic catches, remarkable bowling variations and of course glamour. But it sort of got uneasy for all as the reports of spot-fixing and corruption came out. Taste of an evening cricket extravaganza got sour. And amidst all that, IPL lost its charm and with it was lost the joy that this event brings to the cricket lover each year. There is this feeling of “Money is bigger than Cricket at IPL” that surrounds it all the time, and as the news about corruption surfaced this feeling sank in deeper. Temptations got bigger and with it sportsmanship and work ethics took a back seat. They say that ’if it is too bright you tend to lose sight’, and with IPL’s pomp-n-show, seems it got too bright for some to see. For a cricket lover, it is heartbreaking and it is devastating. It is catastrophic for the joyous feelings that we all have deep in our hearts, those feelings which we have nurtured since we got our first exposure to the game of cricket as a kid, feelings which take complete control of our emotions each time we see our favourite batsman take guard and each time that fast bowler we love comes steaming in. But all is not lost, and there are lessons to be learnt for future. The last time when such a major fixing fiasco happened in late 90s, the cricketing fraternity probably didn’t affirm enough and measure taken were perhaps not enough to cleanse the system. This time around, we have another opportunity to get it right. Stepping down of people at position of authority may not be the solution, but if that can induce faith, facilitate transparent inquiry and proceeding, well that may be a way to go about it. But there are other ways for sure and the love for the game would find those ways. This game has had a glorious past and our hearts know that few aberrations just can’t kill its future. It won’t be easy, but we live in hope. The one who stunned Royal Challengers. He showed in some of his previous IPL appearances that when it is in the V he can hit them really long. Yesterday though, he showed us that it doesn’t really matter where they are, and that he is one heck of a batsman and if you bowl length, he’ll keep hitting you out of the ground all day long. Kings XI Punjab were looking down the barrel at 64/4 and in the backdrop of it were dying all there hopes to make it to the play-offs this season. In comes Miller, too calm and composed for his age and turns the game on it’s head in a matter of few overs. 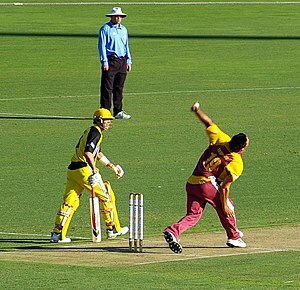 What looked like a massive target once David Hussey got out was chased down with two overs to spare. That’s how easy Miller made it for his side. 101 off 38 is what Miller got and except for that skier that Kohli dropped and got hit in the face, he didn’t play a single false shot. His six hitting was exceptional and the ease with which he was hitting them even beautiful. The monstrous 103m particularly was just amazing. He did play some good innings in previous games and was noticed, he won a few for Kings XI, got unlucky in few, but with his innings yesterday he has stamped his authority with such intensity that he would be feared in the IPL games that follow, and of course outside of these when he puts on South African greens and takes guard against all those international sides. Well played David Miller, it was a treat to watch! Last ball thrillers are back! All it took was just one match and here we are folks, the last ball thrillers are back! Royal Challengers Bangalore vs. Mumbai Indians last night, with many a twist in the tail, eventually ended with a breath taking last over from the T20 specialist Vinay Kumar. When Vinay Kumar ran into bowl the final ball of the match, the result still hung in that very famous uncertainty which IPL brings to millions of fans this time of the year, each summer. I don’t know precisely what percentage of spectators were thinking that either side could win, but 99.99 % wouldn’t be a bad guess at all, when you know it was the big boy Pollard facing on the other end. This is what makes this league so exciting to watch and this is what moves cricket lovers around the world. 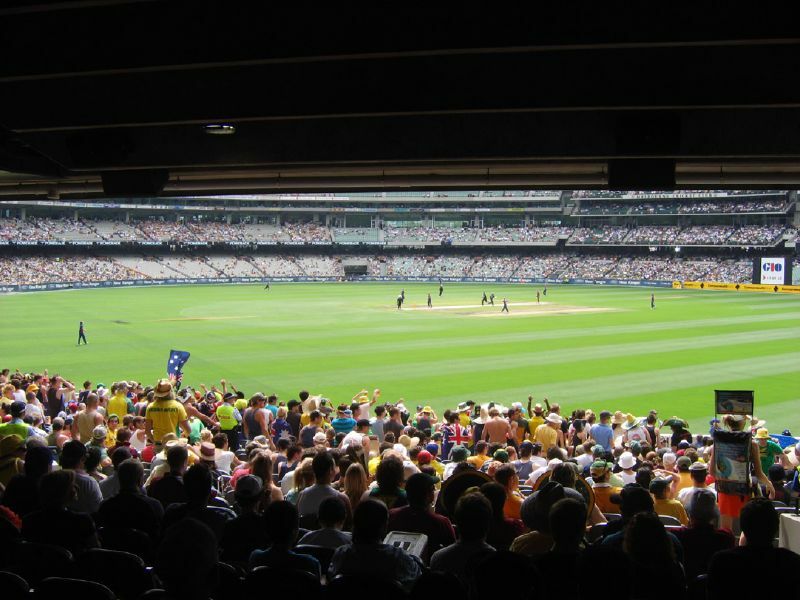 Moreover the booming ticket sales is a good indicator of the fact that fans are also keen to come to stadiums to watch the action and although IPL still remains a big television phenomenon, people are storming in to the witness it all, LIVE. IPL6 has arrived and the excitement has just begun. The rare spectacle with Sachin and Ponting opening an innings together is sufficient enough to set the expectations sky high and one has to cut deep to find reasons as to why this edition won’t live up to it. Stay Tuned, we are just about fastening our seat belts!